5 on Friday is my weekly post about five random things. Things on my mind, things that happened to make the week special, maybe even five fun things you need to know about. It was a busy week, you know the kind where your schedule is so jam packed you just roll from one thing to the next without being in the moment. Getting to Friday seemed like two weeks. But the week was oh so sweet and here’s what made it that way. It was a week of not eating very well. And when Blue Bell Ice Cream visits your work place, how can you say no? When they release new flavors in the market, they always give us a preview tasting, which is so cool! 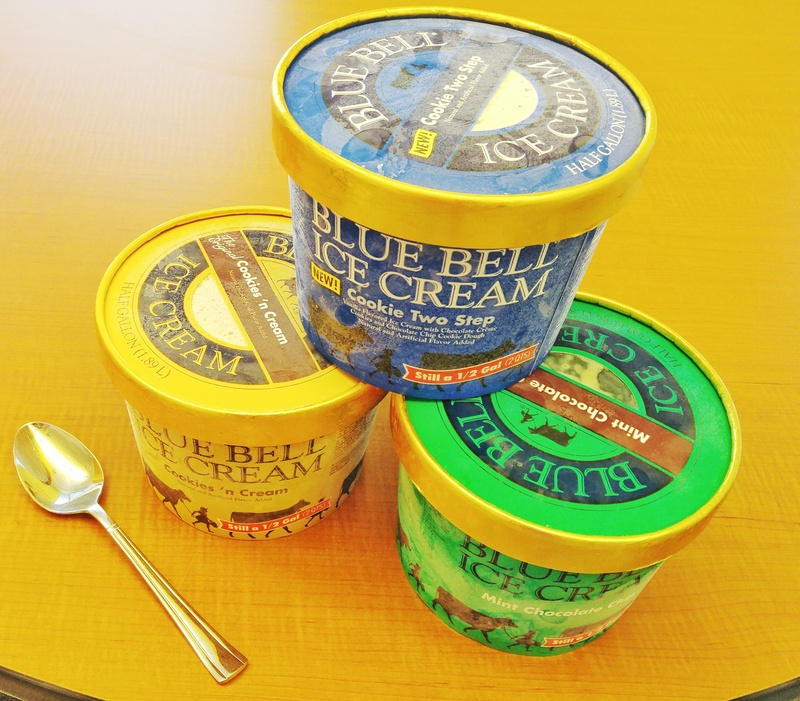 Cookie Two Step made its debut in grocery stores in the Austin area. It’s cookies and cream + cookie dough. Woa! It’s a must try if you’re in Texas! In planning my recent half birthday party I came across this great party website, Oh Happy Day. There you’ll find all things party, holiday, interiors, and printables. It’s so much fun just to look around. They’ve got some unique items for your next gathering and it’s a great place to get new ideas! Huh? That’s what they encouraged us to do when I attended my first yoga class in about eight months. I always grumble about how I really need to go to yoga. I know the benefits are real and I’m guaranteed to experience every last one of them. And they’re all good. Well, I finally went this week. And sure enough, I felt better afterwards. The promise is true. It’s there for my taking and yours too. One of my favorite bloggers over at Coffee With Summer will celebrate her second blogiversary. She’s doing a giant blogger’s giveaway to celebrate starting June 27th! I’m excited to join other bloggers in this cross promotion in hopes some new friends might visit Blogbytracy. Look for more on this, this week! You won’t want to miss the bundled giveaway valued at $250. It includes the book I’m currently reading called Big Magic! If God places a dream in your heart you have to go for it! I was blessed by the life and words spoken by a University of Texas sophomore this week. His name is Archer Hadley. Archer has changed accessibility for many people living with disabilities. 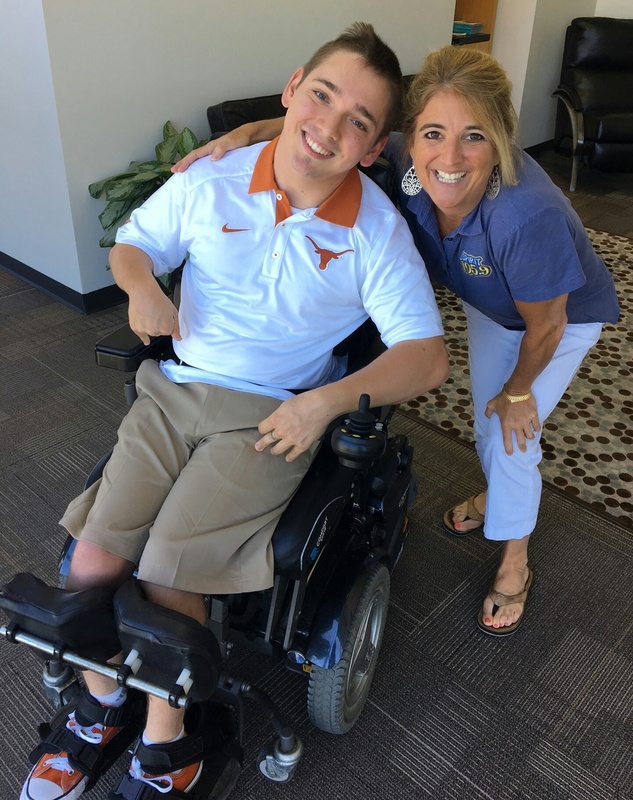 He raised $87,000 to install five automatic doors within his high school through his Wheel Chair Challenge. Archer spoke so passionately about his faith and his hopes and dreams. When asked how he was he said, “Jesus loves me” and he smiled so brightly. As I listened to him talk I wanted to memorize everything he said and exactly how he said it, soaking it all in. I was struck by the enormity of his strength and power. Archer lives with cerebral palsy and spends his days in a mobilized chair. If only I could have an ounce of Archer’s kind of faith. His challenge: life is short, get busy on your dream when God places one on your heart. What went on in your week that made it special? 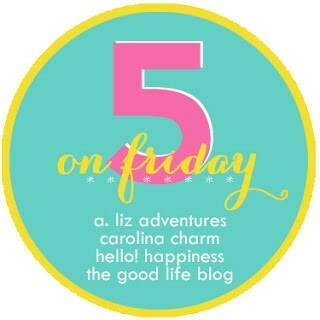 These four ladies who blog had the great idea of this link up series called 5 On Friday. Check out there blogs here.